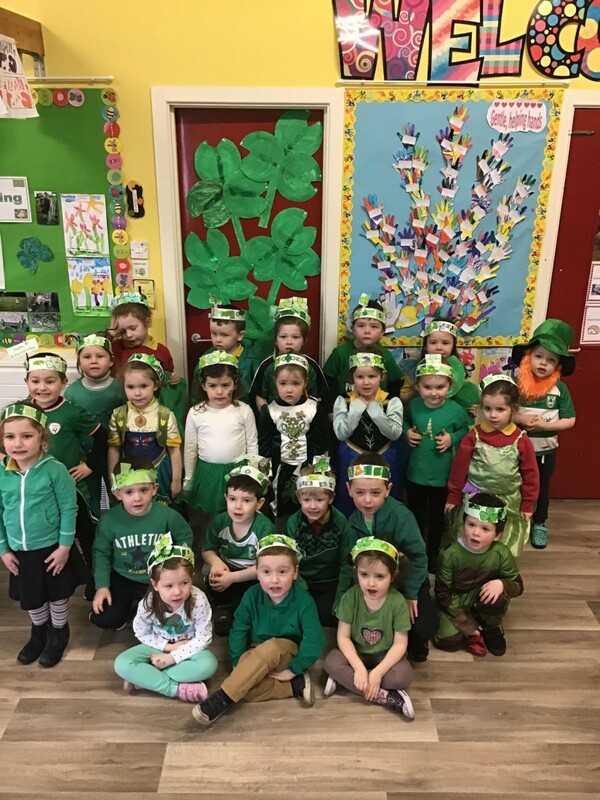 KINDERTEE play group in Derrylin have embraced the green theme by holding their second green day. Throughout the day kids learnt about the small changes they could make to help the environment. The green day also coincided with St Patrick’s weekend. Angela Lynam from Kindertee explained last year kids dressed up and had a ‘green day’ for St Patrick’s Day. “This year we thought we would combine this with the Eco Schools Programme,” she said. “We received our Green Flag three years ago and are renewing it this year as part of the Eco Schools programme. “This year we asked the children if at all possible to walk a little extra from play school. As well as engaging in some extra exercise, as part of the green day children at the play school done their bit to help the environment. “In play school we worked without lights for two hours in each session without any lights. We opened doors so that we had enough light coming in. The children, parents and staff at the play group aren’t planning to stop there. They already have their next green event organised. “On Sunday 14 April we are doing a litter pick around the village, we’ve already signed up to that with Live Here Love Here. The kids and their families will be getting involved in that as well,” Angela added.